Beads have been a passion and pleasure for Judy Bush for many years. The interest grew when as a young child, she would observe her Mother stringing beads in bed in the evenings. This was before the days of television! Over the last 30 years, that interest has grown. JuBi Gems was the name that Judy gave her bead company creating original necklaces and earrings of semi-precious stones. Meanwhile, Judy worked for UNH Cooperative Extension as an Educator in Merrimack County, New Hampshire teaching a variety of family, parenting, nutrition and sewing classes. She also coordinated the Strengthening NH Communities initiative for Cooperative Extension and while involved in that endeavor, she became very intrigued with social capital. Social Capital evolves around the concept that people working together, playing together and sharing common interests are healthier, happier and live longer. Besides the fact that they contribute to their world making a difference in one way or another. The idea began to grow that a bead studio using social capital concepts would not only be fun but a great place to bring folks together with a common interest—beads! So, when Judy retired from UNH Cooperative Extension, she began the process of creating the Bead Bush Studio. With support of husband, Burton, they renovated the building that had been the Mt. 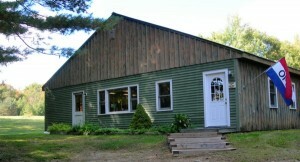 Delight Educational Center in Deerfield and opened the Bead Bush Studio in 2004. After 3 years, Judy began to realize the need for a clearer learning path for beaders. So many novice beaders are overwhelmed with the choices of beads, methods, findings and techniques. With beading instructor Deb Fairchild, they have created the Master Beader Program. An innovative three-level certificate program designed to allow participants to enjoy the challenge and explore the fun of beading as they become proficient at the techniques they love. Free beading classes are offered monthly. Come and enjoy the Bead Bush Experience.